Keep up with everything you need to know about your oral health care with our educational dental blog in Victorville, CA. WHY ARE WISDOM TEETH REMOVED? WHAT IS THE PROCEDURE LIKE? Everyone's mouth goes through many changes in the whole span of a lifetime. One major change or dental milestone takes place when the third molars start to appear inside the oral cavity. Activated charcoal is the talk of the town nowadays. You must have scrolled down your feed and must have seen someone brushing their teeth with something black. Is It A Good Idea To Replace Amalgam Fillings With Composite? Composite fillings, referred to commonly as “white” fillings, have gained a massive amount of popularity since their introduction. Unlike amalgam fillings, which are silver in color and easily visible, composite fillings are matched to the natural shade of the tooth in order to provide a seamless filling inside the tooth that is almost impossible to detect with the naked eye. While there are numerous positive aspects of composite fillings, there are also some drawbacks to consider. Continue reading for a full breakdown of the pro’s and con’s of replacing amalgam fillings with composite fillings. Obviously, the most attractive feature of composite fillings is the aesthetics. Composite filling material comes in a wide variety of shade options, allowing dentists to completely customize the fillings that they place for their patients. With most modern composite fillings, the only way to truly determine if the tooth has a filling placed inside of it is to take a dental radiograph (x-ray). Composite fillings provide individuals with confidence in their smile, as once they are finished, the patient’s smile looks virtually untouched. In some cases, the finished result may even be more visually pleasing than what the dentist started working with. To understand why so many people choose to replace their amalgam fillings, it is important to consider the drawbacks associated with them. One of the biggest negative connotations associated with amalgam fillings is the fact that they contain mercury. Mercury, when properly set inside the tooth, has been cleared as safe by the Food and Drug Administration (FDA). The real danger when considering the mercury content inside amalgam fillings is when the amalgam material is being packed into the tooth, as well as when it is being removed from the tooth. It has been observed that inhalation of mercury vapors has the potential to cause negative reactions in the brain and kidney. Amalgam fillings also require a considerable amount of the natural tooth to be removed in order for the dentist to place the filling inside the tooth. While composite fillings simply require the decay to be removed from the tooth, amalgam fillings require a certain amount of natural tooth to be removed in order to prepare the tooth for the filling. This can lead to further and more serious complications down the road in the case that the filling fails or further decay occurs underneath the filling. Another considerable drawback regarding amalgam fillings is the possibility of leakage as the filling ages. 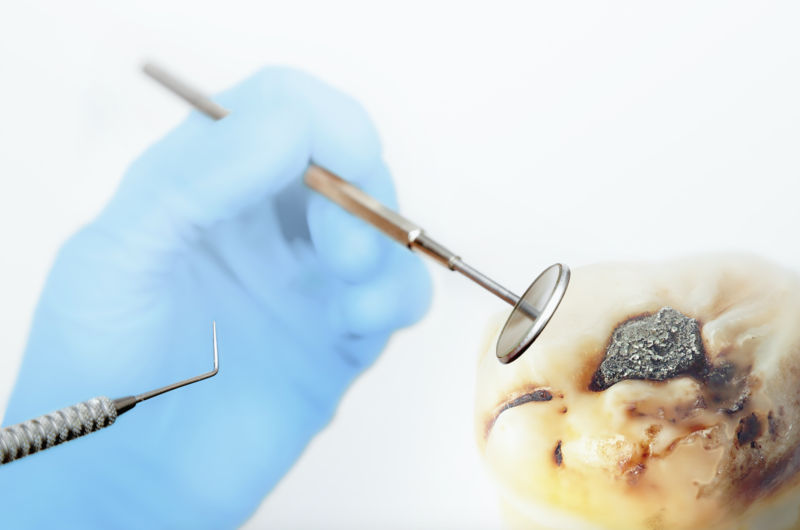 Amalgam fillings are not directly bonded to the natural tooth, so as time goes on, it is common for food and bacteria to leak between the filling and the tooth, which eventually leads to decay. Amalgam fillings have proven themselves to be useful in dentistry for over 150 years, and many people have been more than satisfied with their restoration work done with amalgam filling material. While there are some drawbacks to consider, it is also important to understand the benefits of amalgam fillings. While they may not be especially aesthetically pleasing, amalgam fillings are made to last, and are much more durable than composite fillings. They are much less likely to break, and they very rarely need to be replaced as often as composite fillings; in fact, it is not uncommon for amalgam fillings to last a considerable amount of time, if not a lifetime. Amalgam fillings are also considerably less expensive than composite fillings; for individuals who are on a budget, amalgam fillings are often the best choice. Composite fillings started gaining popularity in the mid 1990s, and have remained a patient favorite since their introduction. As previously discussed, one of the main attractive features of composite fillings is the aesthetic qualities, and that they give the patient full confidence in their smile. Another notable benefit of composite fillings is the absence of mercury in the filling material. Obviously, most people would prefer to have their dentist use a material that is not potentially hazardous to their health. Composite fillings also do not require a considerable amount of the natural tooth structure to be removed prior to their placement. This helps prevent further issues down the road; in the case that any further decay develops in the tooth, it does not necessarily mean that the tooth is too far gone and can not be saved. Composite fillings also bond directly to the natural tooth structure when they are placed, which helps prevent bacteria and food from slipping between the filling and the tooth, which can lead to decay. While composite fillings may at first seem like the obvious choice, it is important to consider the drawbacks associated with having them placed. Composite fillings, while aesthetically pleasing, are not as strong or durable as amalgam fillings; many people find that they will have to replace their composite fillings approximately every seven to ten years. Of course, there may be exceptions in which composite fillings last a considerable amount of time or even an entire lifetime, but in most cases, it has been observed that composite fillings need to be replaced after a certain amount of time. In the case of large fillings, composite material may not always be the best option, especially when considering fillings that come close to the gumline. Composite material can not come in contact with any liquids while it is being placed, or it will not set correctly. It is for this reason that fillings that either come close to the gumline or go below the gumline are usually done with amalgam filling material, as amalgam is not hydrophobic and can easily be used to fill a large cavity in the tooth. Going forward with the information you have learned here, you will be able to discuss with your dentist which filling option would be the best for you in your situation. Everyone is different, and your dentist will be able to help you determine which option would fit you and your lifestyle best. Should I Replace My Missing Tooth With An Implant? Dental implants are the tooth roots that are replaced. They mimic the tooth structure and are formulated from titanium. Dental implant is defined as an artificial titanium fixture which is placed surgically into the jaw bone to support a crown, fixed or removable denture through a phenomenon called osseointegration.